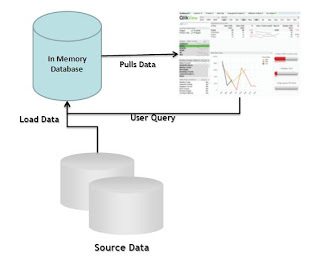 How does Qlikview in-memory processing Work ? With in-memory database, all information is initially loaded into memory. It eliminates the need for optimizing database like creating indexes, aggregates and designing..